Opposition water spokesperson Tony Burke says Labor would come up with a new way to recover 450 gigalitres of water, by “restoring the socio-economic definition” for its delivery. It comes just months after the Government and basin states finally reached agreement on the formulas for measuring the socio-economic impact of water recovery. Mr Burke said Labor would also call a review of the impact of climate change on the Basin water system. 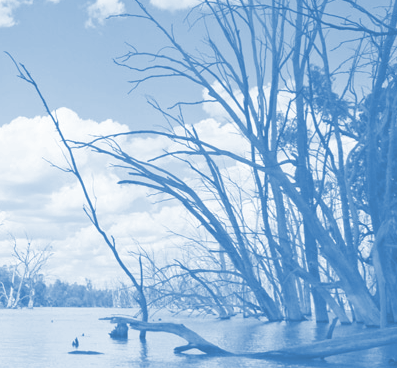 The Opposition further pledged to “urgently renegotiate the Menindee agreement, which determines how the lakes are managed”. Mr Burke has previously said the ALP would scrap a cap on buying more water from farmers to return to the environment, and move compliance functions from the Murray-Darling Basin Authority to a new federal Environmental Protection Agency. Water Minister David Littleproud said Labor's plan is a “hoax”. “Labor can't change the neutrality test unless all of the states agree and they know it,” Mr Littleproud said. The National Irrigators’ Council does not support the proposal. “The 1,500 gigalitre cap (on buying more water from farmers) was actually introduced with Labor's support,” committee chief Steve Whan said. Mr Whan said Labor may not get the states to agree to change. “If they can't get the states to agree to that change then they're at an impasse which will effectively cease further action unless the Commonwealth Government wants to go it alone which would be quite difficult,” he said.